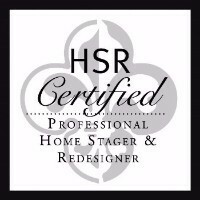 There is some confusion regarding Home Staging, Re-Design, Rearranging, Interior Decorating, Interior Design, Organization, Vacant Staging, and Staging with what you already have on hand. I hope I can clear some of those questions up for you, but if you have more, then feel free to contact me with any other questions. What is Staging versus Redesign? Staging is primarily used for someone who is selling or renting out their home to someone else. A staged home is meant to be pleasing to the current buyer. Redesign is for the homeowner/renter that wants to stay where they live but they want a change. This change is for the current home-owner so it needs to fit their design needs, not a buyer's design needs. Do I have to buy new furniture for staging? Absolutely not. The idea of staging is to attract more buyers to the home. Sometimes, it just having another set of eyes capable of opening the space to appeal to more homebuyers, but if your home is stuck in a style (for example the 70's), it's not current, so buyers assume they will have to do alot of work, so in some cases it is necessary. Why would a landlord use a stager"
Renting out a home, especially a vacation or shore home is a competitive market. Having the best looking house will get your home rented out first, it will make it worth coming back to, and it will appeal to more which means that it won't sit stagnant. Can I design a new room for you? Yes, as a redesigner, I can help you a design a new room . I will work with you to achieve what you are looking for, work out all the details and plans, but I am not an architect so I cannot draw building plans to code for you. Can you just buy what I need for me? Yes, I can do your design shopping for you. I have many package programs and I also have some designer partnerships with certain stores. I can shop for you, with you, or just give you a list of what to buy, and where. I have a furniture rental store that I have partnered up with. This alternative is primarily for vacant homes in which I will shop for the furniture, stage the home with that furniture, and plan the delivery. 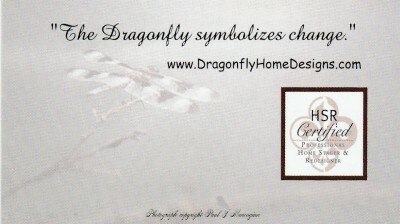 Dragonfly Home Designs believes that organization lends itself to the entire appearance of your home/business. It is neat and contained. Organization also makes the homeowner feel more relaxed because the clutter of disorganization is chaos. We are expert organizers that can get your area into a workable unit. The prices are not listed because every job is different. Staging, Design and Organizing are all priced differently. The size of the job and the amount of time needed to complete the job also dictates cost. I will gladly quote you through and email if you don't want to talk on the phone. Fill out my contact form with any pricing questions and I will gladly give you a ballpark price.